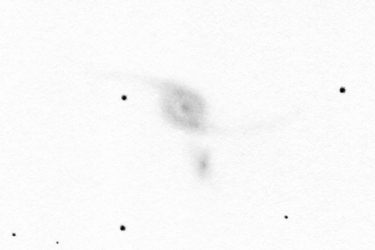 IC 2233 drawing inverted into positive. IC 2233 is a relatively close low surface brightness spiral galaxy - it's about 30 million light years away. We see the system about perfectly edge-on. There is at most a 1-2° deviation. The galaxy is practically lacking a central bulge. These factors cause that we see the galaxy as a very flat object. 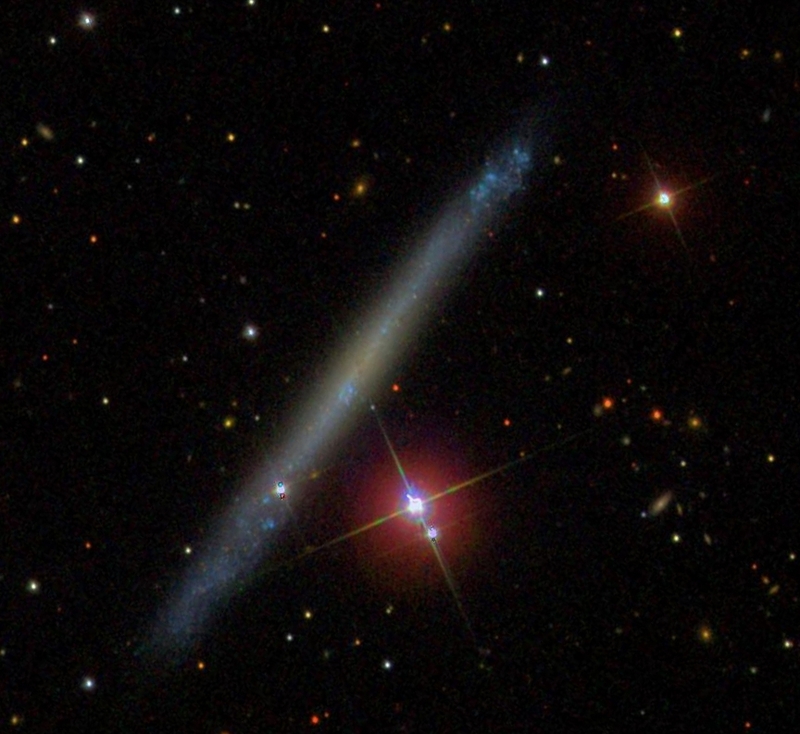 It is one of the thinnest galaxies in the sky. 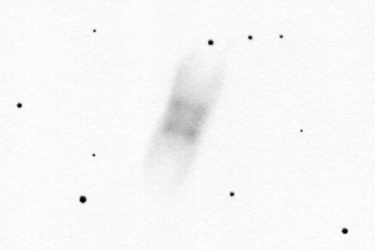 There is one more galaxy in the apparent neighborhood, the Bear Paw Galaxy (NGC 2537). 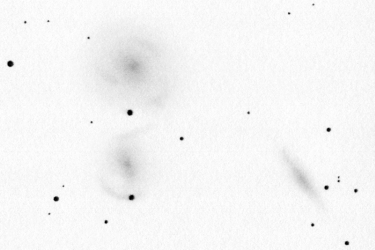 The two galaxies cannot be very far from each other in the real three dimensional space either but there seems to be no physical connection between them. Both are lonely galaxies with a low star formation rate and huge neutral hydogen (HI) reservoirs. 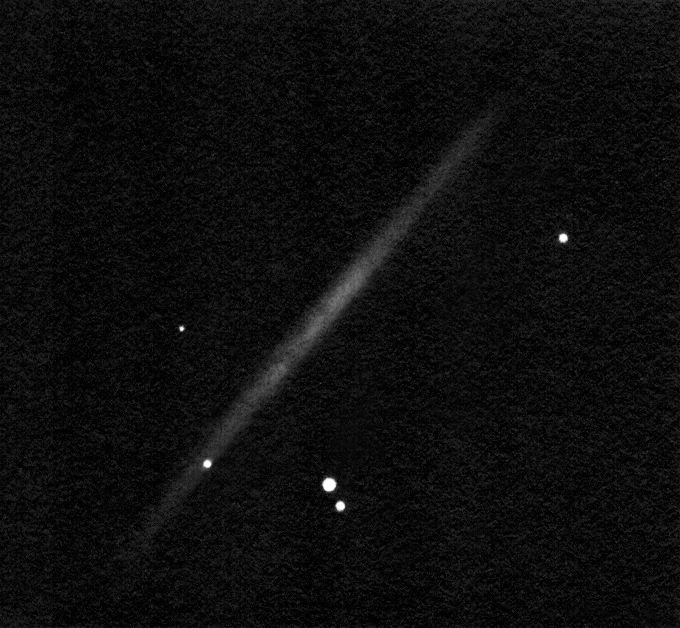 IC 2233 looks great in the 16" telescope: the whole object is a long thin stripe. Its proportions seem to be around 1:20 with a 4.8' major axis. 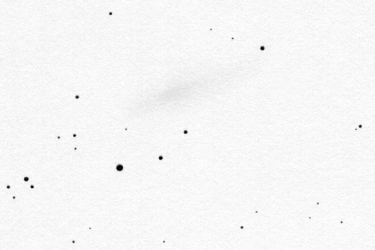 The galaxy is not very bright but it's not very faint either. No core is visible but there is a brighter central region which seems to be inhomogenious. 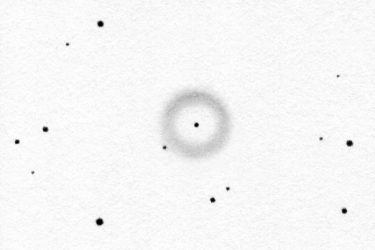 One more bright spot can be seen in the galaxy (?) towards the North (towards the star superimposed on its surface). The edges are very faint. 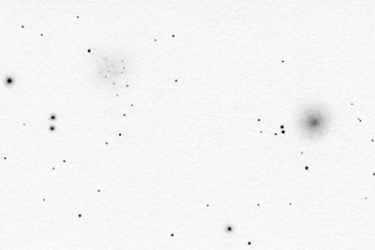 IC 2233 photograph made by the Sloan Digital Sky Survey's 2.5m telescope. Credit: SDSS. 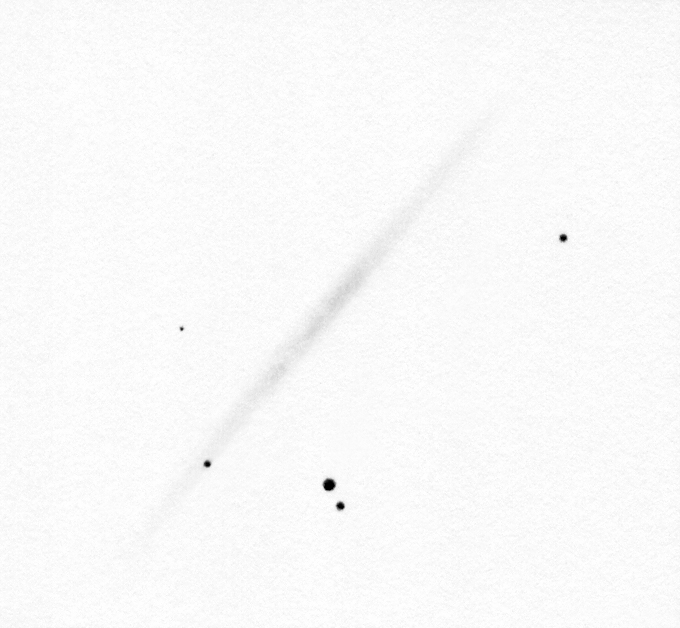 By comparing the photo and the drawing it is noticable that I didn't draw the top-right (Southern) end of the galaxy precisely. Furtermore I saw the object thinner than in the photo. These were probably caused by the very small number of foreground stars that I could relate the details to and the "unstructured" appearance of the galaxy. It is very difficult to grab where such a vague object starts and ends.